ALOHA. 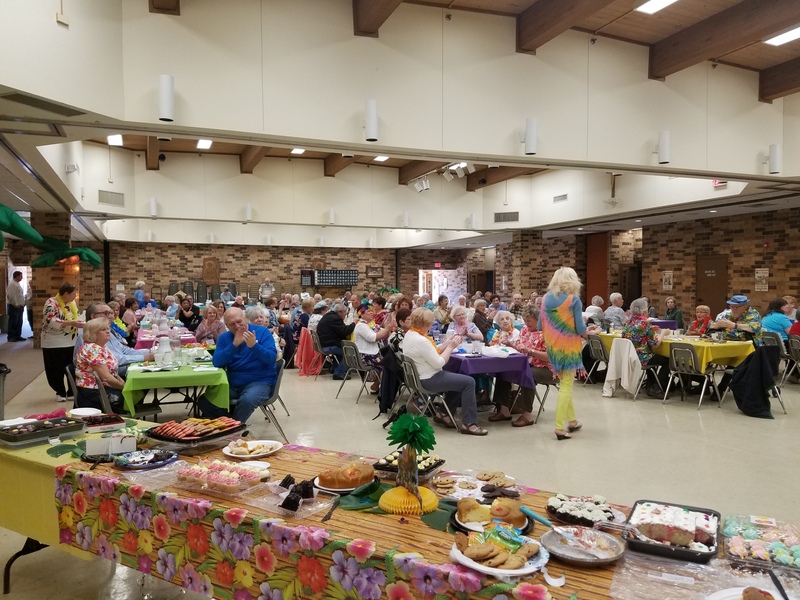 Yes, it was a Luau in April for the Young at Heart! 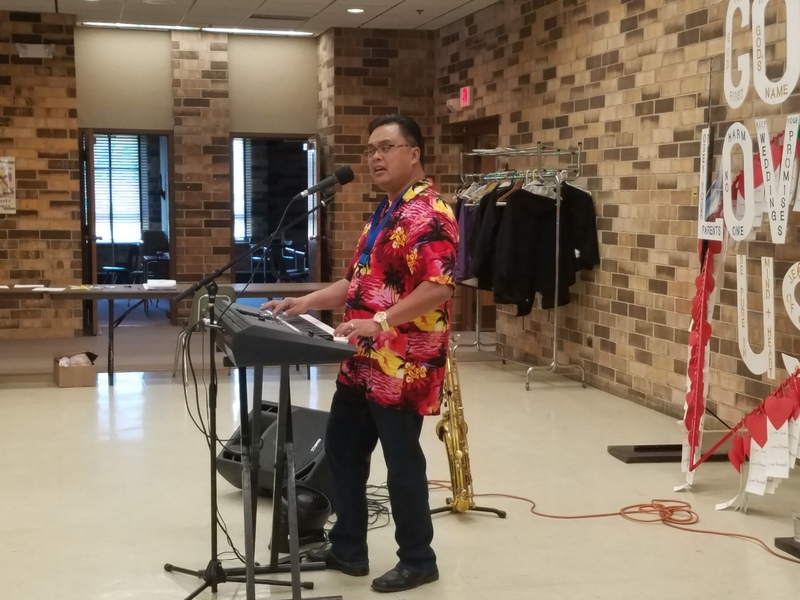 They had a wonderful time enjoying the island sounds of Edyson Dayao while enjoying pork chops, mashed potatoes and vegetable medley catered from Don Monaco’s in Oak Forest. The homemade desserts were plentiful and added to the island ambiance. ALOHA.